Guest Post: Lisa talks War of the Worlds! Joining me today is Lisa from Over the Effing Rainbow, to talk about The War of the Worlds radio broadcast. And yes, this is eligible for the Retro Hugos under the Dramatic Presentation category! Lisa is a Scottish blogger and voracious reader of science fiction and fantasy in most of its forms. Tea junkie, Dresdenphile, nail polish enthusiast, nibbler of cheese, devourer of cake. This adaptation of the H.G. 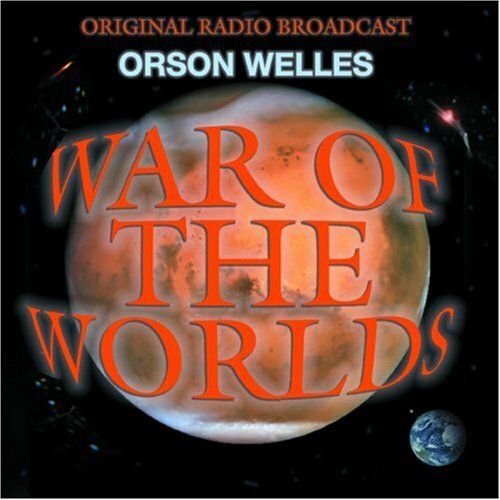 Wells classic sci-fi novel was performed by Orson Welles, in a Halloween episode of the radio drama anthology series The Mercury Theatre On The Air. There have been a good few adaptations of this story over the years, from TV and movies to a bestselling album, but for this year’s Vintage Sci-Fi Month – and given the approaching Retro Hugos event at this year’s Worldcon – I thought I’d go right back to the ‘Panic Broadcast’, as well as reviewing the original novel. For those who might not know the story, the broadcast of this adaptation, thanks to the news bulletin-style presentation of the first two thirds, apparently caused a widespread panic among listeners who believed the events being ‘reported’ were really happening.